Authorities have drawn up a plan to secure the ousted president Hosni Mubarak after his forecast release from prison, the official Middle East News Agency said on Thursday. Citing “senior security sources,” MENA said Major General Mustafa Baz, the assistant interior minister for prison affairs, would send Mubarak’s file to the public prosecution, early today, after a Cairo court ordered his release, acquitting him in the case of accepting gifts from national media during his presidency. It was reported that Mubarak has recently repaid money equivalent to the value of those gifts. The sources told MENA that the prosecutors, once they have received the file, would finalize procedural work for Mubarak’s release from Tora prison, adding that he would be transported by a helicopter to a secure place. Prime Minister Hazem Al-Beblawi, who issued an order on Wednesday to place the imprisoned former president under house arrest, would specify the place where Nubarak would be subject to the house arrest. The sources indicated that Mubarak might be placed at one of the “state sovereign sites,” or at the international medical center of the armed forces located on the Cairo-Islamiliah road or Al-Maadi hospital, where he would be under close medical observation, as well as tight security. 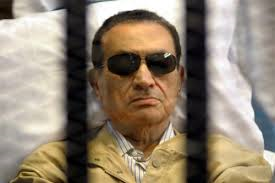 Mubarak, along with his interior minister, was convicted and sentenced to life in prison last year for failing to stop the killing of protesters in the revolt that swept him from power. He still faces a retrial in that case after appeals from the prosecution and defense, but this would not require him to stay in jail. Meanwhile, a security source confirmed that authorities arrested, at dawn, the spokesman of the Muslim Brotherhood organization, Ahmad Aref, at an apartment flat in Nasr City in eastern Cairo. The authorities have put in prison the top leaders of the organization, namely the deposed president, Mohamed Morsi, and the group supreme guide, Mohamed Badee.